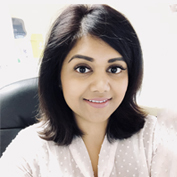 Dr Anita Cyril completed her general practice training in the United Kingdom and has been a Full time GP since 2014. Prior to this she had successfully attained the qualification of Membership of the Royal College of Physicians (UK) following her extensive experience in Hospital Medicine. She enjoys the diversity of General Practice and enjoys managing complex and chronic medical conditions. She has a special interest in chronic disease management, care of the elderly and cardiovascular problems. She also has skills in minor surgery and is fully competent in joint injections and skin excisions.